2017 marks the 10th anniversary of the Apple iPhone. The smartphone has been the most iconic device in mobile technology. Spectators are predicting a big release by Apple to mark the occasion. 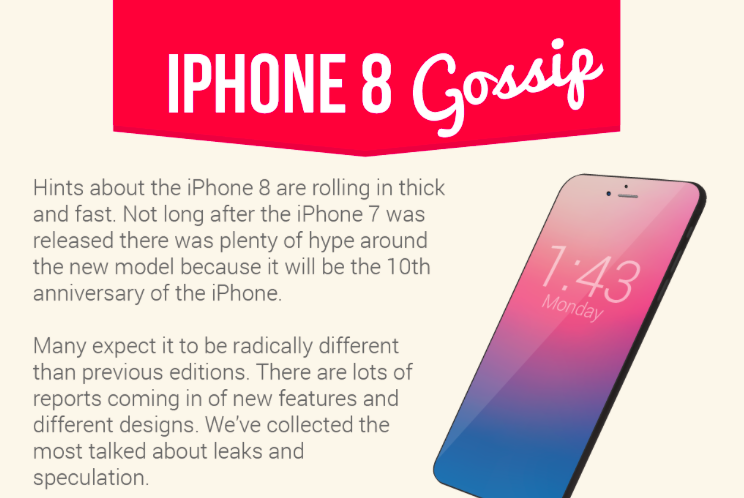 Many believe that they will skip the 7s model to release the iPhone 8 on their anniversary date.